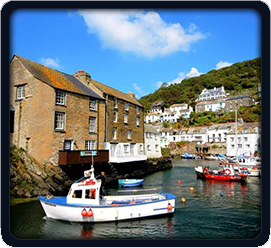 Located on the Cornish Riviera coast just 26 miles from Plymouth is Polperro, a historic working Cornish fishing village virtually unspoilt by time. Surrounded by the natural beauty of the rugged rocky coast and deep blue sea, this is the fairy tale setting for the perfect holiday. a wealth of historic sites that are both scenic and interesting. 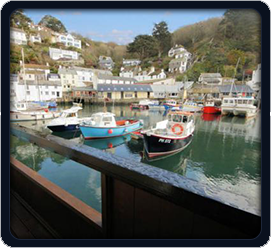 Polperro is well placed for exploring other parts of Cornwall. The Eden Project, which has been described as the eighth wonder of the world, is only 20 minutes away while Tintagel Castle, the legendary birthplace of King Arthur, The Lost Gardens of Helligan and The Shipwreck and Heritage Centre are also within easy reach.